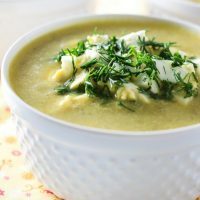 This dairy free zucchini soup is perfect for summer and early fall because it’s light and filling at the same time. In this recipe, I used nutritional yeast to thicken the soup and to add some flavor. 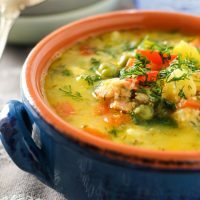 If you don’t like nutritional yeast or don’t have it on hand, you can make this soup without it. After pureeing the soup, check the consistency. 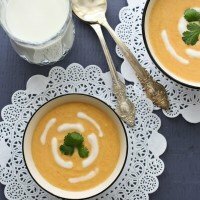 If the soup is thick enough, add 1/2 of the milk of your choice and check for consistency again. If you like it, continue with the next step. If you think it’s still thick enough to add some more milk, go ahead and add it. 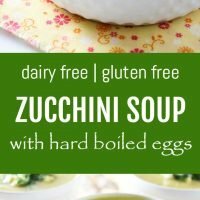 Make sure also to season this dairy free zucchini soup with some spices, like, for example, garlic powder or sage. If you’ve never tried nutritional yeast before and are not sure how it tastes, add 1/4 cup first and taste the soup to see if you like the flavor. I find that 1/2 cup of nutritional yeast is perfect, but if I added more of it, I wouldn’t like it as nutritional yeast adds a certain flavor which might be too much for some people. Also, don’t skip the dill when serving the soup. 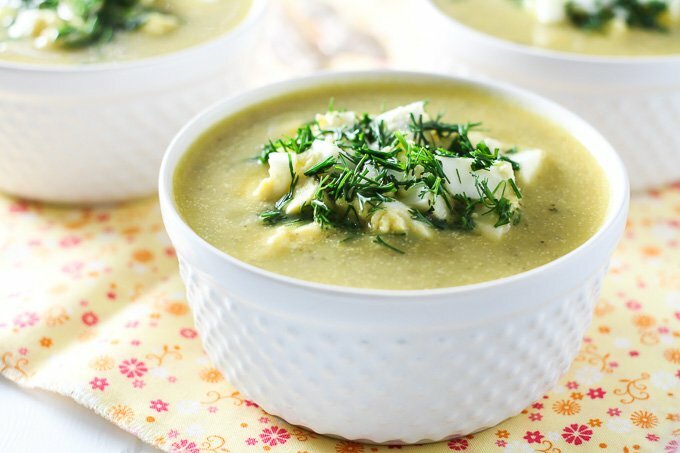 The dill adds wonderful flavor and works really well with hard-boiled eggs. 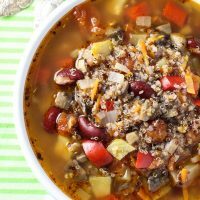 If you are looking for more dairy- and gluten-free soup recipes, check out this Spicy Red Lentil Soup, this No-Noodles Chicken Vegetable Soup, and this Mushroom and Quinoa Minestrone Soup. 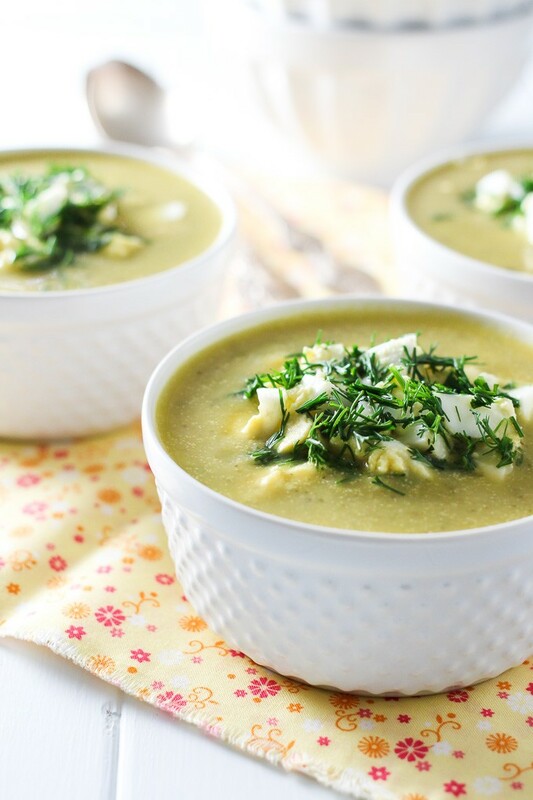 This dairy-free zucchini soup is served with dill and hard-boiled eggs. 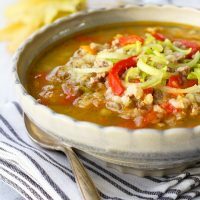 This soup is very easy to make, healthy and filling. In a pot, heat the olive oil over medium-high heat. Add the onion and cook until it starts to caramelize, for about 4 to 6 minutes. Add the zucchini, stir and cook until it starts to soften. Add the vegetable stock. Bring to the boil. Reduce heat. Cover and cook until the zucchini is cooked through, for about 10 minutes. Take the soup off the heat and let it cool a bit. 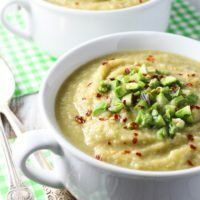 Once the soup is cool enough to handle, puree the zucchini using an immersion blender. Add the milk of your choice, nutritional yeast, and lemon juice. Season with salt and pepper and bring to a boil to reheat. Take off the heat. 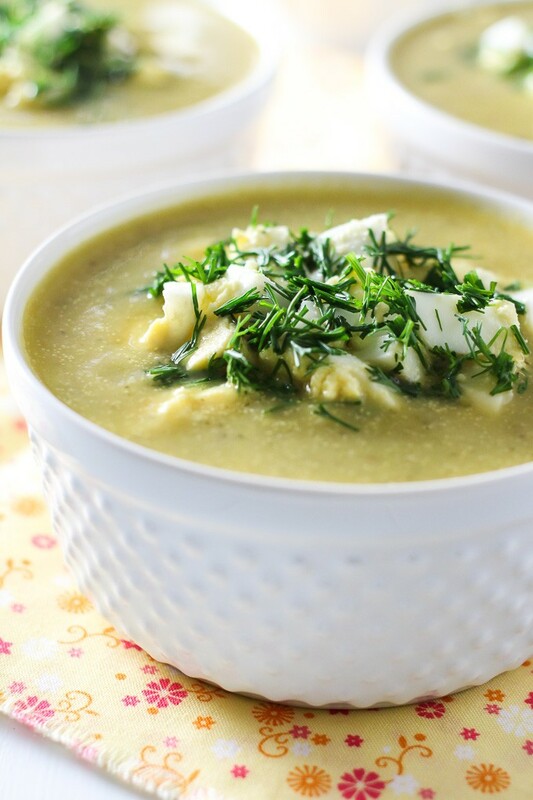 To serve, chop the dill and eggs and add about 1 to 2 tablespoons of chopped dill and 1 egg to each serving. 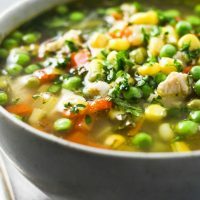 This soup looks absolutely delicious and healthy!! !